Children over 3 years old are welcome to join the Sunday School at St Mary’s. The Sunday School meets during school term time and has special Saturday preparation sessions for our All Age services, which we have once a term. For pre-school aged children, Little Lambs also meets during term time, for simple stories and songs. Both Sunday School and Little Lambs take place during the Sunday Eucharist 10.30am service, in term time, in the church hall and upper hall. The children leave the service after the Collect and return to join their families for a blessing at Communion, and are invited to tell the congregation what they have been doing at the end of the service. We make sure that each Sunday is a new and complete session for the children, so those who cannot be present every Sunday do not feel excluded. 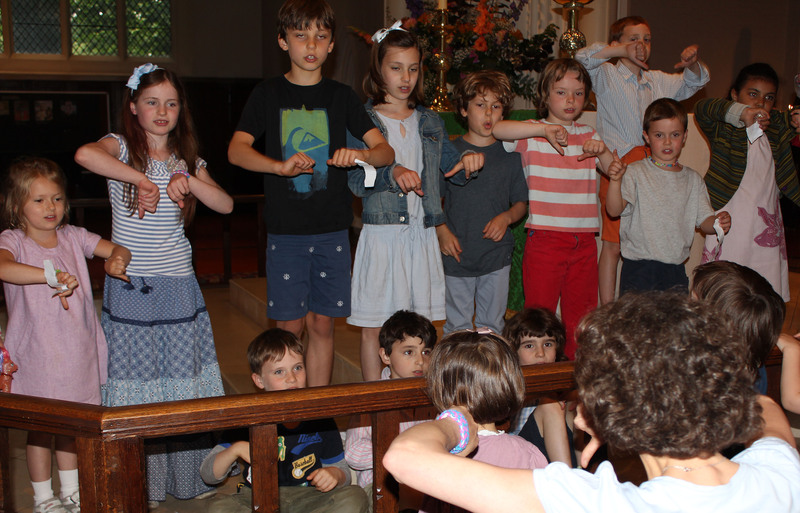 We aim to make learning fun, but frame the sessions around a very simple form of worship which we hope will bring the children to feel comfortable with the traditional liturgy. For several years Sunday School, with the help of the wider Church, has been sponsoring a young boy called Alex who lives near Kabale in Uganda. Contact Katie Fowkes (via the parish office 020 7835 1440) for more information.